I’m finally going to post this as I’ve had it sitting in draft for a few weeks. James Clay blogged about VLEs today, so it seemed like a good idea to share my thoughts too. So…VLEs, Learning Platforms…what’s the point? Surely you can get it better elsewhere? for free? Is this the best it can be? It’s all empty!Aren’t we only doing it to meet some target? As you may know, I have spent the past two years of my life training primary school teachers in using our VLE, Studywiz. It’s had ups and it’s had downs, but the VLE is a very useful tool. I am a regular on Twitter and I speak to excellent ICT teachers all of the time, but how many of them have bothered with a VLE? Not many. Why? Maybe it doesn’t do what they want it to, maybe it isn’t customisable enough, maybe they were already doing it beforehand. For the techy teachers out there, I can understand why they might want to sidestep the VLE issue. They’re already blogging with their class so why do they need a paid-for system to do it? They can go get free versions of 4 or 5 different tools that will be better than the VLE, so why bother? 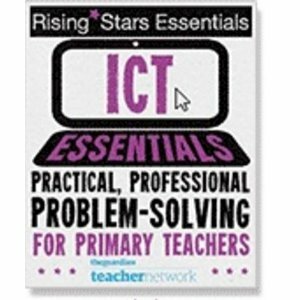 But how many teachers are VERY confident with ICT and can manage this? In my experience, having everything under one roof is a great starting point for many teachers. 95% of the people I train have never thought about learning online, I know 1 school and a couple of random teachers that were blogging here in Hampshire. This is rising slowly, but VLE training has helped to show these teachers what is possible. Many of them are just starting to put links online so that their children can access websites and resources. How would you do that without a VLE? Use a website that only 1 person can update? A delicious account maybe? What about for the 5 year olds? The VLE is great for younger children as you can include sound and/or tools like Voki to give them clues and directions of what to click on and why. From using sound and microphones in training, teachers have seen how easy it is and now they’re off to record it with their class. Fantastic. Very basic for most people, but for some, it’s a breakthrough. Even though general confidence in ICT is rising, there are still an awful lot of teachers out there who are not ICT confident! I have trained some recently who do not know how to access their email. One asked what I meant when I said ‘Google it’. These people will be taking my words and ideas and cascading it back to the rest of their staff. One thing the VLE gets used for, is as a launchpad to other things. Children start at the VLE and from there they can watch te embedded video from BBC, discuss it in the forum and then go off and create a Prezi which can be embedded so others can assess it. I’m not sure about other VLEs, but our one is fantastic at embedding HTML and other content whether it is a Google Streetview, a Voki, a wordsearch or Animoto. This is the bit that people get excited about. The VLE itself has some basic tools which work well, but being able to drop in a Google Form or a Bubbl.Us mindmap is a real winner. We’ve focussed on the learning bit a lot here in Hampshire and we try to show as many ways of using it for learning as we can. There’s no point showing a tool without good reasoning about why to use it. After all, we’re not meeting a target, we’re showcasing our children’s learning! Quite often people say that they haven’t started using the VLE yet due to Ofsted being just around the corner (aren’t they always?). Why not be pro-active and celebrate your achievements online instead? Don’t shy away from them, push them in the inspectors faces and let them be amazed that your children are writing online and creating content for others. What about benefits for teachers? We’ve been sharing ‘finished’ resources for a few months now here in Hampshire, but the next step is to try and get some teachers to plan and collaborate together from the start. So many teachers are doing the same thing and planning the same topic, it would be great if they could work together! This should be happening more and we hope to have something in place to enable this soon. The potential is there, VLE or not, but using a VLE is a good starting point for many teachers who had never had the chance or inclination to do this type of learning before. Some teachers are now enthused about the potential and come to training buzzing about what they will find out next! So what do you think of VLEs? Do you have one? If you do, why? Was it to meet a target? Was it because learning is made easier? If you don’t? Why? Is it because of money? Are you doing it all already? I’d be interested to hear from people outside of Hampshire to see what they think about using VLEs in primary schools. A great post Ian, spot on in so many ways and one that I can refer teachers to in the future. My school is tied into Fronter for the time being as it was an LA wide decision. Schools could have opted out but, from what I gather, that option wasn’t looked on favourably. Fronter is not a user friendly experience and that is one reason why many teachers are not using their VLE as much as they should. Instead, many are lying dormant with little or no content to motivate learners. So why was Fronter chosen? Certainly the most important consideration is to make sure the VLE is useable for both teachers and learners. Well, it turns out that many of the secondary schools in the LA were already using Fronter so it ‘made sense’ to use it in Primary too. But it isn’t all gloom. Some of us are using our VLE to promote learning, to create spaces which learners can continue their learning (teachers included). The children in my Maths group use a space every week for cometing homework online, researching topics for lessons, revising maths work by watching embedded ‘How to’ videos and of course giving them a break through using forums which they create themselves. As a teaching tool it is quite effective in providing them basic webpage content creation. Some are now quite capable of creating their own pages with content including embedding HTML from other sites. They can also learn how to use a forum responsibly and with the messaging/sticky feature they can message each other safely. Yes, there are many other user friendly web 2.0, open source and commercially available tools that will do all of this and better. But, whereas I know that to be true many of the teachers I talk to don’t. The VLE is their first example of what an online learning space could entail. My only hesitation with it is that if it is not been used effectively or if it continues to frustrate through bad design, then the VLE will meet an untimely end just as many of us are getting the hang of its potential. You’ve absolutely caught the main thing here regarding teachers with less experience, confidence and knowledge of online learning. It’s all very well having teachers like us that have used these technologies, understand them and can implement them without too much hassle. When you get to the average teacher that, like you’ve edged towards, they don’t know much about online learning, they don’t know much about how to use it and they may not have the skills and knowledge there to be able to do it. A VLE is a hugely helpful tool to encourage staff into using online learning as part of their teaching toolbox; without a VLE, or equivalent, many teachers would completely miss out the online and technological aspect of learning. This is something that simply cannot be ignored. Talking from a secondary perspective, students appreciate the VLE even simply as a resource store; exam papers, PowerPoints, notes and so on. Rather importantly, it allows departments to build a similar online learning ethos as it ‘limits’ them to using similar tools and techniques with the students. Of course, any teacher can expand beyond those tools available in a VLE and should do so…but the VLE is a vital vital starting point that should never be dismissed. On another note, our VLE is moodle-based and is coming on OK (www.rickypedia.org currently run by @nstone / http://www.nstoneit.com), departments getting more and more on board (I’m the incoming e-Learning Co-ordinator..so changes are going to be made!) It costs £500 a year for the hosting, which will increase a little due to increased bandwidth. That’s not too expensive for a school’s budgeting in my opinion. Very interesting post. Think my school may be in that study. We do not use a vle but instead use web tools across the school. This is in part made possible having many people who are competent at ICT, and all who are willing to embrace and run with ICT ideas that they are introduced to. I see your point about VLEs being used to help less confident staff getting into these areas, but if they have to be trained anyway wouldn’t it be better to train them to use ‘real’ tools rather than proprietary VLEs? Your case of embedding parts of websites makes a good point for vle use. Whilst I could easily achieve this using google sites or iWeb, the vast majority of teachers could not, and if this allows them to customise resources with ease then that is a huge value of a VLE system. To practically get the wider teaching profession to work like this they sound like a great tool. My gut tells me we would be better using funding and training to get teachers to use web 2.0 tools in their own lives, and empower them to move with the technology rather than simply teach them to use another tool in a potentially non transferable way. Unfortunatly I suspect that this kind of training would take a lot of sustained effort and follow up, and getting teachers running with a vle system in a simple way is something that can be achieved with a one day INSET. It fits in a neat package that can be delivered and quantified, but doesn’t change the core culture of how people are working; like so much of our system in the UK. I’m not intending to be critical of your work in any way, but trying to think about the broader issues. If you’ve been getting teachers outside of the ‘twitter verse’ to use blogs etc to share and extend their learning then youve been doing a great thing! I agree with all of this – my flavour VLE is Moodle but actually everything you refer to here could apply to that as well; a great post well made. You make some great points Ian! As another advocate of learning platforms, I have also found it takes some time and good practical learning examples to encourage colleagues that there is a point to using it. One of our initial reasons for setting up our learning platform was because we had a very out of date website and were paying for someone to update it periodically – and because that took place outside school, it was not up-dated as much as we would have liked. Secondly, we wanted to make sure it became a PLATFORM for learning, as you mentioned – and that has meant learning being at the heart of much of what we do on the platform. But it’s potential as a communication tool is also great. With our primary school it has been a useful “one stop shop” for all the online activities we want to do with the children, too – there’s nothing like a list of links to focus children’s research so they find something useful in their online research time. I do show a lot of other web2 tools along the way and some I link with the VLE and some I don’t. One problem with showing web2 rather than just the VLE is that web2 changes daily. If I was to list the tools I’ve shown to people it would be never ending and the majority of teachers would not be able to keep up with this change. Yes, there are skills that can transfer from one to another, but giving them the starting blocks with the VLE has definitely helped! In Hants we were very lucky in that teachers helped to choose the best option and were involved at every step of the way. In the end it came down to 2 different VLEs, but teachers had their say which is a great thing! We’ve had a few drop out or not sign up, but we’re talking 30 out of 440 primary schools. Unless you know what you’re doing, it’s much better to have the support of 400 other schools!! That ever changing nature is a strength and a weakness! It would be great if all teachers could keep up with it and use the lates tools in their practice, but I agree witness you that is not going too happen in many schools. Great post! I agree with pretty much everything you’ve written. We use a free LMS called EDU20. It’s a great starting point for non-tech oriented teachers to get their start. Obviously not every LMs can fit every need. We didn’t start the LMS to meet a taget but because we saw it as a stepping stone to creating a blended learning environment so that children can take advantage of learning opportunities beyond the classroom between 8am and 3pm. We also saw it as a starting point to support pupils who are struggling and need more support either in class or at home or have different styles/preferences of learning. I hasen to add however, that teachers have had, in the past, some difficulty in creating online lessons because they forget, or under estimate the fact that we cannot simply transfer standard f2f lessons to an online environment. But besides that, I think the LMS is an invaluable first stage in a truly collaborative, blended learning environment. I see the Learning PLatform and VLE as the “Swiss army knife” of learning technology. In Stoke-on-Trent, schools are making great use of learning platforms. Take a look at these examples on NAACE.